Disclosure. This post is sponsored by Wayfair.ca. All opinions are my own. Halloween is just around the corner. In our home, we’ve decorated with spooky Halloween decor and accents to create our own version of a haunted house. The kids are getting their costumes ready and I’m stocked up on candy for the neighbourhood trick-or-treaters. Normally, I end up buying way too much candy and always have lots leftover. Today, I’m sharing an easy recipe to use up your Halloween chocolate! 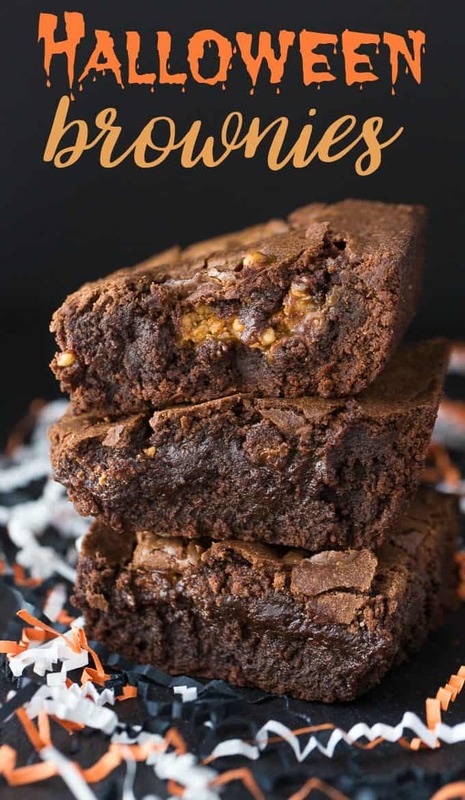 The solution is Halloween Brownies. I’m taking a basic brownie recipe from scratch and giving them a little milk chocolate kick. It doesn’t matter what kind of chocolate bars you use. Just unwrap what you have and throw them into the mix. 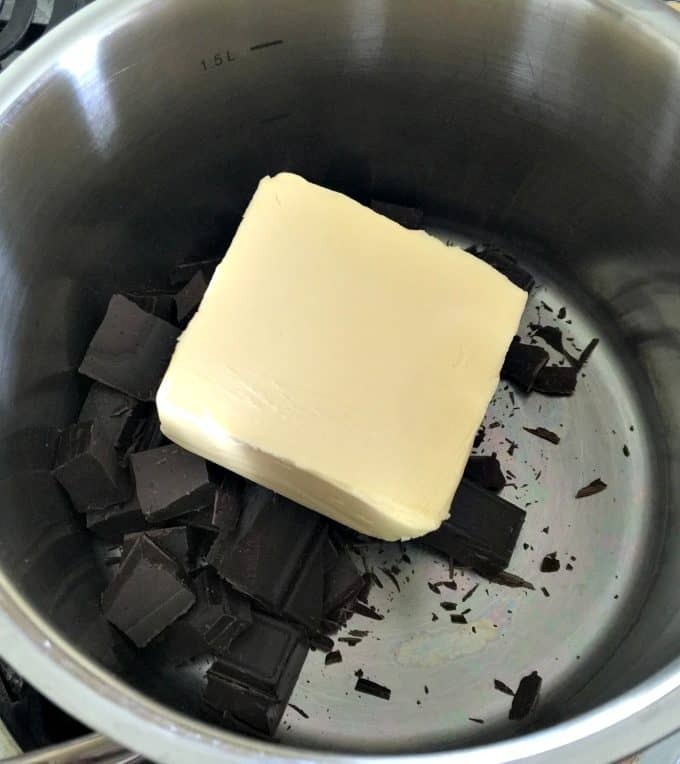 Start with some butter and unsweetened baking chocolate in a small saucepan over low heat. Stir it constantly until it melts. Be careful to not overcook it since chocolate burns easily. In a mixing bowl, beat eggs and sugar together until light and whipped. 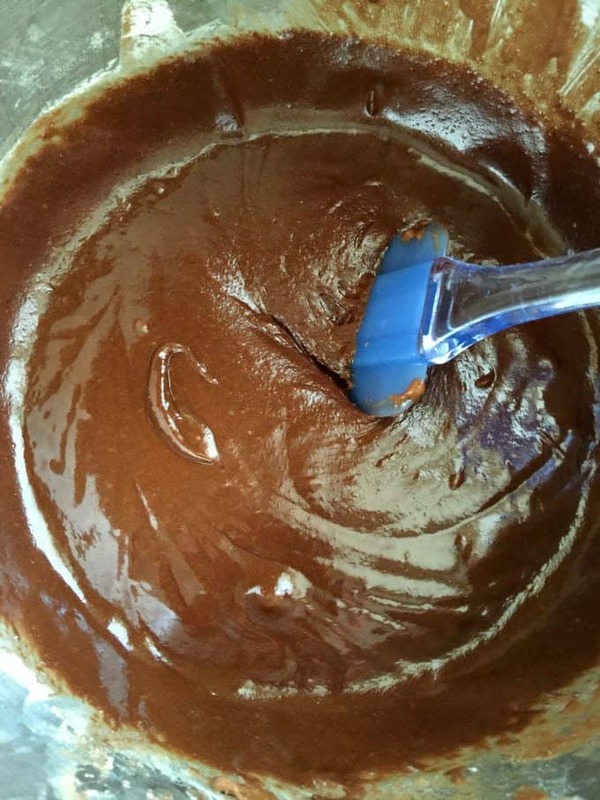 Add your cooled chocolate and some flour and stir until combined to make a luscious and rich batter. Let the kids help with the next part if you like. 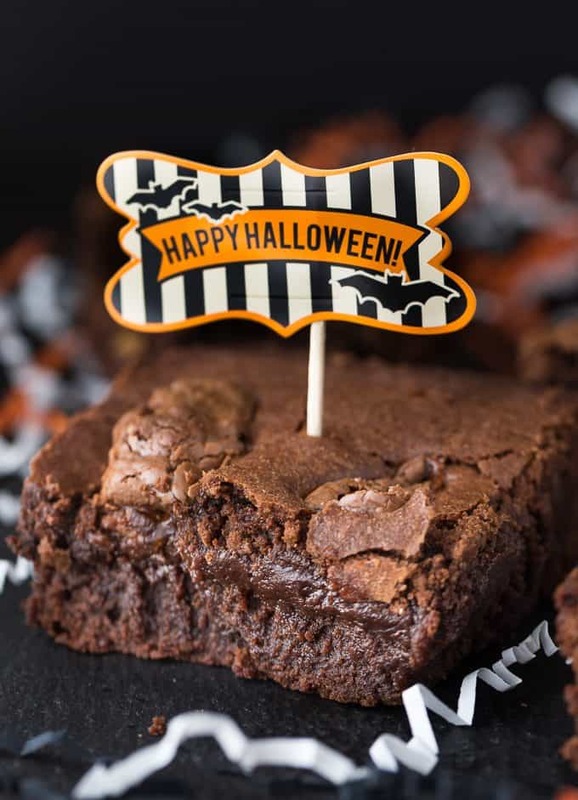 Place your assorted Halloween chocolate into the brownie mixture and push down slightly with the back of a spoon. It’s going to bake (and melt) inside the brownie batter in the oven. Each piece will be a surprise as to what flavour of chocolate will be inside. They are rich, fudgey and chewy. This is one of my favourite brownie recipes that I make over and over again for my family. 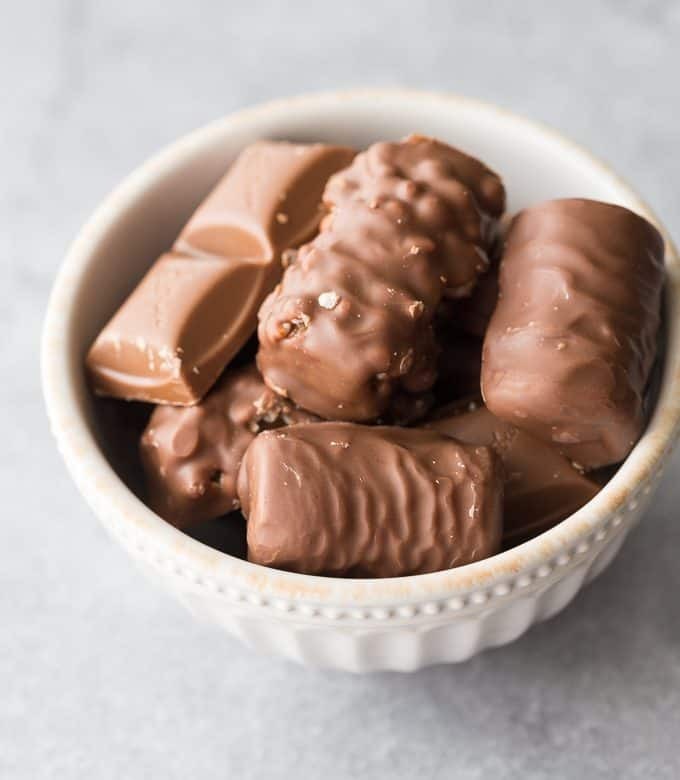 I used 15 mini chocolate bars in this recipe. If you have a lot leftover, maybe make a few batches or add a few more bars into the batter. Talk about decadent! No Halloween chocolate will go to waste in my home this year! What do you do with your leftover Halloween candy? Rich, fudgey and chewy. This is one of my favourite brownie recipes that I make over and over again for my family. Preheat oven to 350F. Grease a 9 inch square pan and set aside. In a large mixing bowl, beat sugar, eggs and vanilla on medium-high speed for 5 minutes. Pour in chocolate mixture and beat on low until combined. Beat in flour just until mixed. Pour mixture into pan. 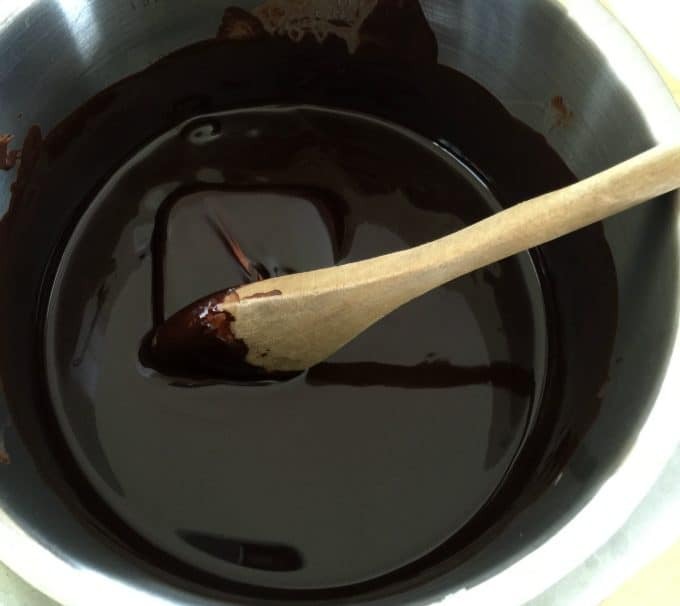 Place chocolate bars evenly into the brownie mixture. Gently press down with the back of a spoon to embed. Bake for 40 minutes. Remove from oven and cool completely before cutting into squares. Yummy recipe!!! Like the added bonus with mini candy bars. Thanks for sharing! These look so tempting. Its been forever since I made brownies. Thanks for sharing your recipe! 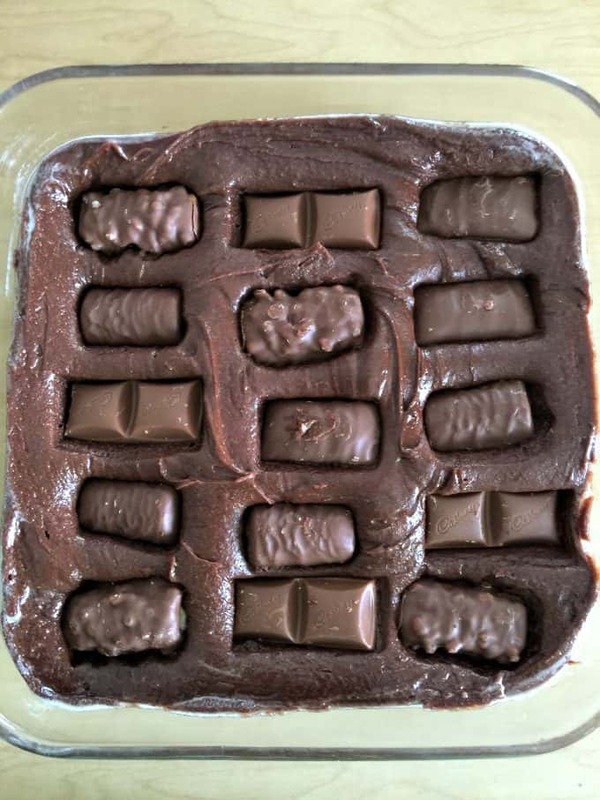 These brownies really look delicious and fun to make. 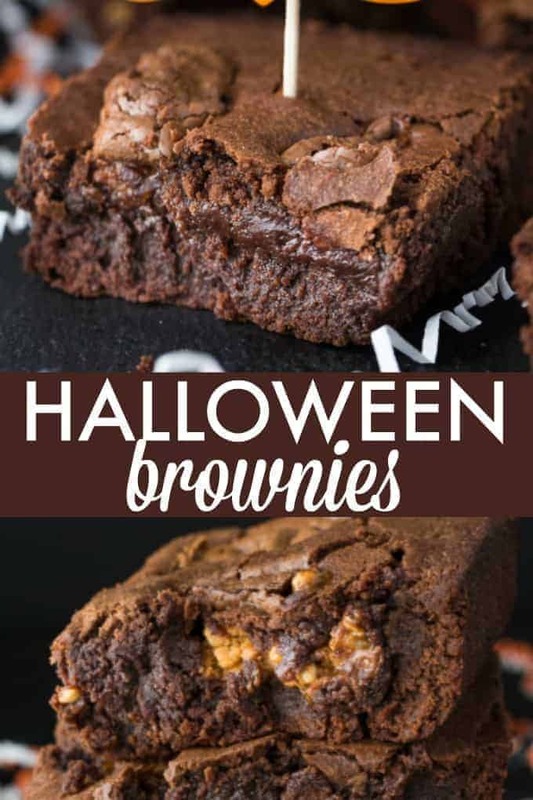 I like how moist they look and want to make these for my Halloween Party! Thanks for sharing. I just love brownies, and these look amazing! There us nothing better than a delicious warm brownie. Especially in the fall. Thanks for sharing this recipe. Brownies are my absolute fave! Pinning for all that Halloween candy that’ll be invading my home in a week. Visiting from Craftastic Monday party. Love these–brownies with a surprise inside! Pinning. That’s a great way to use leftover Halloween candy. I like to buy it the day after Halloween. I’m like you and always buy way too much Halloween Candy. 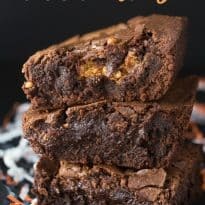 Brownies are one of my favorite desserts and what could be better than a brownie than to add a candy bar too it! So creative!. I will definitely be giving this a try after Halloween. Yum, yum, yum. Can’t wait to try this. I love a yummy brownie anytime! Thanks so much for sharing with us at Full Plate Thursday and have a great week!